More swimming pool owners are buying automatic sanitizers for their swimming pools. It is reported that over 50% of all new in the ground swimming pools are equipped with this growing technology. More above ground pools are slowly encompassing this new technology as well. The salt in your swimming pool acts as an oxidizer that will get rid of mildew, algae and bacteria. The salt in the water is dissolved it turns the chloride part of the salt into chlorine. The chlorine will then dissolve and turn into hypochlorus acid, which kills the bacteria and algae. This is all done with Salt chlorinators, you can save a lot of money on chlorine just by using this process but you will need pool salt in order to start this process, table salt will not work. When you have the proper amount of chlorine in your swimming pool, you can avoid green hair, itchy eyes, red eyes and dry skin. 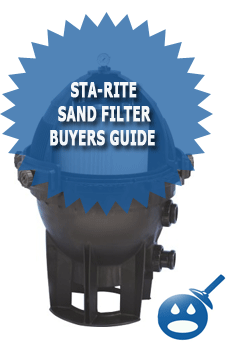 One of the newest ways to get the right amount of chlorine is by using the Salt Generators. 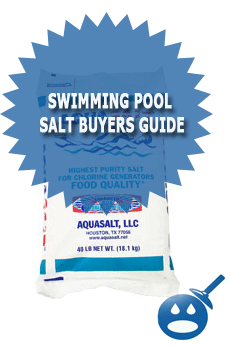 Let’s take a look at the different brands of Swimming Pool Salt that is on the market today. The top brands of salt that work the best are Aquasalt Fine Solar Pool, Morton Advanced Formula Pool Salt, SureSoft Pool Salt and Diamond Crystal Pool Salt. 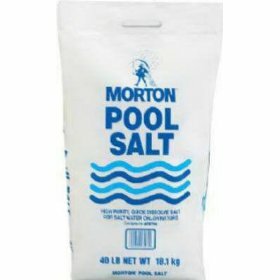 Morton Advanced Formula Pool Salt is the same Morton’s Salt you use on the table except this is for swimming pools only. This advanced formula is engineered to give stability to your swimming pool’s water chemistry. Morton’s offers a way to help keep your swimming pool healthy by conditioning the water’s pH and it prevents any staining from forming. When you use the Morton Advanced Formula Pool Salt you are using fast dissolving pool salt that will protect the water’s surface from any metal staining. The stabilizer in the swimming pool salt will protect the chlorine that is generated from the salt from losing any strength that sunlight causes. This helps the pool salt work at a good range. This formula is also designed to help provide a more stable pH level and offer the maximum effects of chlorine without actually adding straight chlorine to the swimming pool. This style of swimming pool salt is made by two different ways, the solar process and the evaporated process. Both methods are effective as they produce a high purity of salt that will work in your swimming pool and spa salt and chlorine generators. By utilizing both of these methods, Aquasalt can create the smallest crystal sizes that are available on the market today. The solar method of this process is used by those pool owners who also want to use the salt for softening the water. The Solar Salt is broken down even more to create the same size as regular table salt and that is pretty small. This Aquasalt is only to be used in swimming pools and spas and not for consumption. 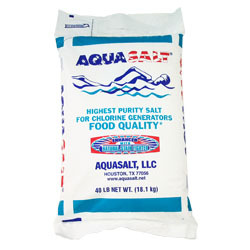 Aquasalt Fine Solar Pool Salt is available in the 40 lb bag, it costs about $7.99 and you can find this brand in your local swimming pool store. The SureSoft Pool Salt is a high purity salt that is specially made for swimming pools and chlorine generators. This style of salt is extra fine and is one of the fastest dissolving pool salts in the industry. Not only will this pool salt stabilize the water but also it will get rid of any discolorations. There are some swimming pool salts that contain YPS and Iodine but SureSoft is Iodine free and YPS free. This pool salt is good for the environment and by using this swimming pool salt you can keep your swimming pool chemical free. By using SureSoft pool Salt you are working to soften the swimming pool water as well as avoid dry skin, rough feeling hair. It also can help reduce the amount of maintenance that comes with chlorine-based pools. This swimming pool salt is available in 40-pound bags. The Diamond Crystal Pool Salt is a 99.9% high purity swimming pool salt. With this high level of pure swimming pool salt, it can ensure a more effective water clarity. This swimming pool salt is quick dissolving salt that will help keep your water’s chemistry perfect without all of the chemicals. This product is recommended by leading chlorine generator manufacturers. There are no additives in this swimming pool salt and you can enjoy fewer chemicals in your water with the Diamond Crystal Pool Salt. Keeping your swimming pool safe from chemicals should be a priority. By eliminating pure chlorine is a step in the right direction. 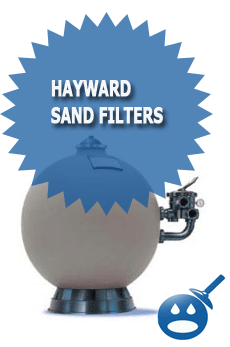 You can purchase a salt/chlorine generator in your local swimming pool supply store or online. By using swimming pool salt with a generator you can turn the salt into chlorine and eliminate the use of chlorine and reduce the risk of dry skin, itchy eyes and sometimes green hair.Any one of these swimming pool salt products are great to use and they are all reasonably priced. They come in 40-pound bags that should last you all summer long. If you are interested in turning swimming pool salt into chlorine, talk to your local swimming pool supply rep and see which they can recommend. We are Turkey based company located in Bodrum( the most famous touristical city of the Turkey. We are interested in to be a sales agent(distributor) of pool salt products. Please contact us if you do not enter Turkish market yet. Hello, as you are interested in Sales Agents all over Europe, we are ineterested in collaborating with you if your conditions are acceptable and if the quality of your products and prices are excellent and competable with what we have on the marked now here. We might distribute your products in Belgium and (or) in Spain..